The closet is one of those rooms in the house that can be considered a luxury. Most small houses and apartments don’t have one. Even if they do, it’s just a tiny 2×4 closet space that just couldn’t hold all of your clothing and accessories. When this happens, you’re forced to think of closet alternatives for storing and organizing your clothes. Think outside the closet for storage solutions. There’s a surge of awesome racks, storage furniture, and organizers available in the market today. You may not have a walk-in or a reach-in closet, but you can take comfort in knowing that storing and organizing your clothes behind closed doors have also gone out of fashion. Closet rod systems are an easy and relatively affordable alternative to a traditional closet. Typically, they are used only as alternatives to closets for storing clothes, as they are just rods for hanging clothing. Adjustability: Most sets are adjustable, meaning that they will fit in the smallest and largest of spaces. Most rods can range from about 48-72 inches in length. Affordability: Depending on the style and brand of closet rod system that you buy, the price can greatly vary. On the cheaper, flimsier end, you can find rods for around 20 dollars. If you’re looking for something of higher quality, or something larger, you can find prices all the way up to around 200 dollars. Extra Storage: Another perk to closet rod systems is that they often come not just with rods but with small metal shelves so that folded clothes will fit well. Closet rods are great if you are waiting for a closet to be finished because they can easily be set up until the closet is done, and then easily moved into the closet with all of the clothes still on. However, even you don’t or won’t have a closet, they are still a good option as far as closet alternatives. One con is those closet rods tend are open, meaning that anything and everything hanging will be seen, which can look messy. 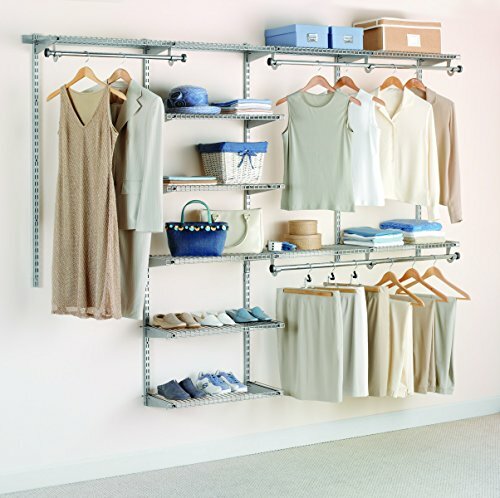 Closet rods can be found in most stores that sell organization. Common examples may be Target, Walmart, or Amazon. A higher quality set of rods could be found somewhere like Wayfair or Overstock.com. On Amazon, there are hundreds of options for all different sizes, styles, and prices of closet rod systems. Wardrobe, also known as armoires, is a more stylish approach to alternatives for closets storing clothes. Style: Wardrobes come in all different colors, designs, and sizes. They can look good in most bedroom settings and aesthetics. Size: Wardrobes and armoires tend to be much larger than dressers or chests of drawers, which makes them ideal for storing larger amounts of clothing. Versatility: Because wardrobes are standing up, they can be used to hang clothing, as well as fold clothing. Some come with drawers and hanging rods built in, but, if not, these things are easy to self-install. Convenience: Most armoires are not self-build, they come fully put together. This means that transporting them to a new house or even just from the store to your home may be incredibly difficult. Cost: If you only have a small budget for closet alternatives, wardrobes may not be the best option. They tend to be upwards of $200. Size: Although the size was previously mentioned as a pro, it could also be seen as a con. Armoires are large and tend to be bulky, so they may not work out in a small space or a space with a low ceiling. Now that you know the pros and cons of wardrobes, you may or may not be wondering where to buy one. Wardrobes are not as easy to find as other closet alternatives, but they are not difficult. Finding one online would be your best bet, most likely. Some good places to buy are overstock.com, Houzz.com, or Wayfair.com. If you have no space at all for a closet, storage underneath your bed may be a good option. Saves space: Because most people already have a bed in place, putting a “closet” underneath uses no additional space. Lots of storage: Even twin sized beds are over three feet wide and almost six feet long, which gives plenty of space for storing all of your clothes, shoes, and anything else. Easy to organize: Most under-the-bed organizers have several different compartments, meaning that you can organize your clothes with ease. 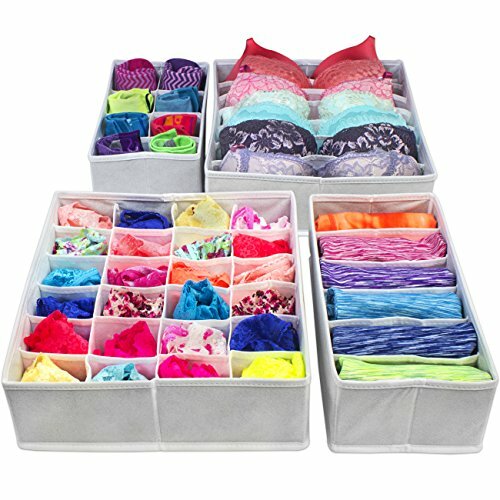 Versatility: Even if you opt to go with baskets instead of a real under-the-bed organizer, you can still have plenty of storage. You could also use plastic bins, milk crates, or anything else you find suitable to store your clothes in. Because they will be under the bed, it doesn’t matter how it looks. Inability to hang clothes: Beds aren’t tall enough to hang clothing underneath, so any clothing stored under a bed would need to be folded, which isn’t good for some types of clothes. Out of sight: If you are someone who likes to see all of your outfit options, putting your clothes underneath your bed may not be the best option- you can’t see your clothes unless you take out each bin and each article. If you decided that under-the-bed storage is one of the better alternatives to closets for storing clothes, you have many options. If you are looking for a true, under bed organizer, you can find one in most stores with an organization aisle. Floating shelves provide a sleek and chic way to hang clothes as well as fold clothes, without taking up too much space. Versatility: You can put up a shelf, and then attach a rod to it in order to make space to hang clothing on. On the shelf, you can fold your clothes, and on the rod, you can hang them. Style: unlike the store-bought rod system, you can design your own floating shelves to match the color and aesthetic of your room. You can also custom cut the wood to fit on any baskets you would like. 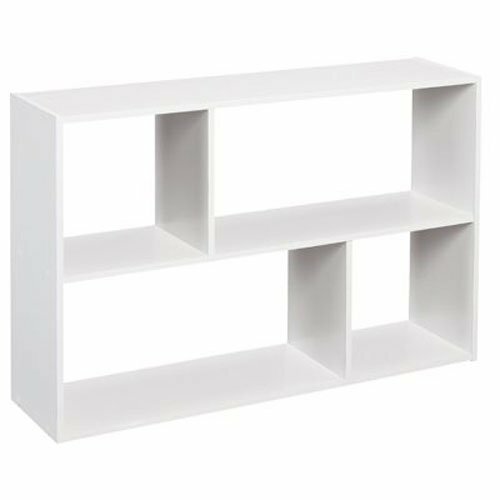 Floating shelves are sleeker than a rod system. Size: A floating shelf system gives as much space as you would like. If the ceilings are high enough, you could do one set, and then another set below. If the walls are large enough, you can do extra long shelves and rods. Also, because you will make your own shelves, you can make them the perfect size. Price: floating shelves can be expensive, but you could easily make your own with a piece of wood, PVC pipe, and screws for less than 30 dollars. Space: If you don’t have much wall space, a floating shelf and rod wouldn’t be much help. Exposed: As with the rod system, all clothing would be exposed and not neatly tucked behind doors. If you have absolutely no space left at all in your room for a closet, a headboard closet might be a good option. You can hang your clothes on rods right above your bed, and then simply box in the closet with a store-bought wall cube, or use a curtain. If possible, move your bed out at least a foot from the wall. Space: this method uses only the space that a headboard is already using. Originality: Not many people use a headboard as a closet, right? You can wow people with your creative use of space, functionality, and design. Style: You can choose any curtain to put up, or custom paint the box you surround your clothing with in order to go with the color scheme and aesthetic of your room. Can’t do that with a closet, right? Fill wall space: If you have random wall space and no headboard, a closet is a perfect way to fill the space. Exposed: Even if you cover the clothes with a curtain, it may still look lumpy, and it could be hard to find a big enough box to cover your clothing, leaving it exposed and messy-looking. Too many clothes: If you have more clothes than your bed is wide, this option may not provide enough space, as the headboards typically don’t go too far past the edge of the bed. In the way: If you don’t have any space left to pull your bed away from the wall, the clothes may hang over the top of your sleeping space. If you have decided this is the only of the alternatives to closets for storing clothes that work for you, you have a few options. If you would like to box your clothes in, you could make your own box, or purchase one. Should you choose to go the curtain route, it would be easy to make your own or buy one that’s made for a window around the size of your cube, like this.